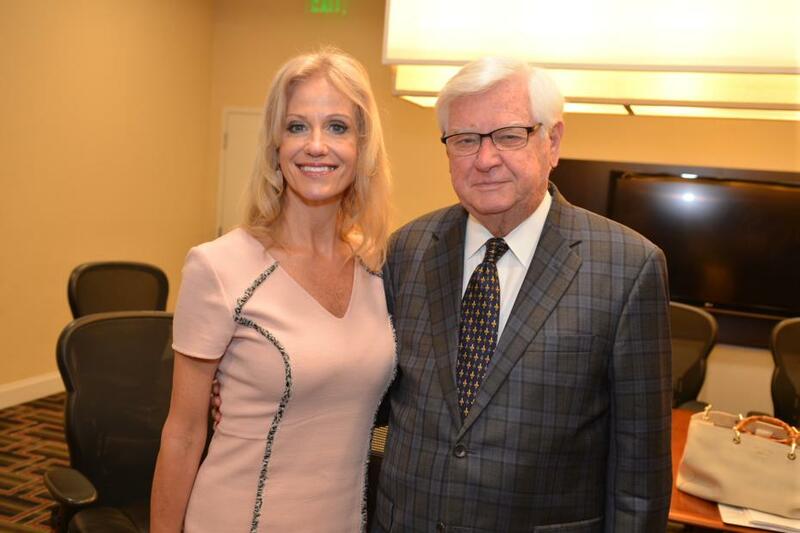 ATLANTA, GA -- U.S. Rep. Harold "Hal" Rogers (KY-05) introduced Kellyanne Conway, White House Adviser, to more than 3,000 attendees at the 2018 National Rx Drug Abuse and Heroin Summit on Wednesday morning. 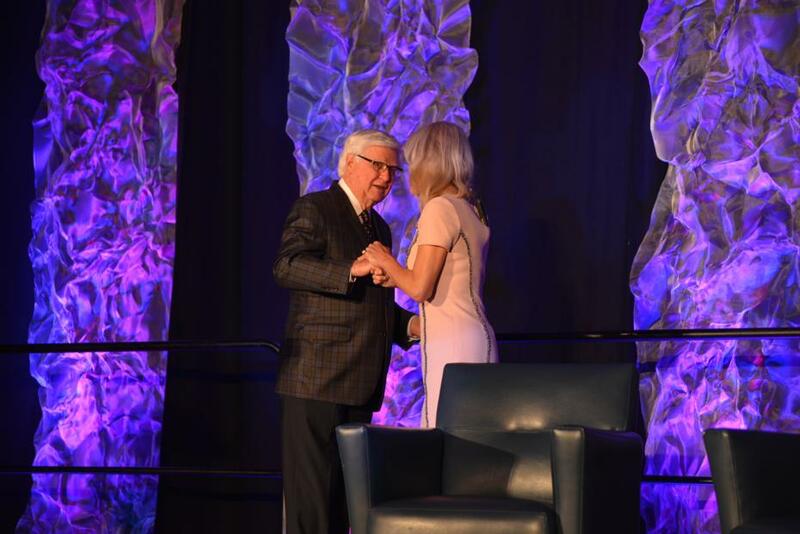 "I applaud President Trump for raising awareness about the nation's opioid abuse epidemic and his commitment to help find and implement holistic solutions," said Rogers, as he welcomed Conway to the stage. "Just last month, he signed into law the 2018 Consolidated Appropriations Act, dedicating over $10 billion to combat the drug abuse epidemic in America." Conway highlighted two of President Trump's new policies to address the issue. "The President has called for a reduction in prescribing over the next three years by 30 percent," said Conway. "Here you have the Rx awareness campaign that was done by the CDC and the prescribing protocols that have been put out." Conway said the Veterans Health Administration, last year, became the first hospital system in our nation to publish its opioid prescribing, recognizing that pain management may not always require pain medication. "Also the President has called for the interoperability of our nation's prescription drug monitoring programs (PDMP). As you know 49 of the 50 states have a PDMP - we're working on the 50th and hope they will come forward," said Conway. "We see many organic improvements within the system of the physicians and the pharmacists - a better education that they are undertaking. You'd be suprised to see some of the medical schools did not always have safe prescribing as part of their curriculum, so that's fast changing, which is great." The White House recently launched the Crisis Next Door initiative with a website for Americans to share their personal stories about addiction and recovery to raise awareness, share solutions and provide hope. Attendees have the opportunity to record their own stories in the Exhibit Hall during the summit, which will be featured online at http://crisisnextdoor.gov. "At the White House on October 26th, the President went first by sharing the story of his older brother, Fred Junior, succombing to his alcohol addiction at the age of 42. The President talked about his own family's experience and how it impacted him and his life," Conway added. Conway said the Trump Administration's work reflects the same holistic model of the National Rx Drug Abuse and Heroin Summit, incorporating law enforcement, treatment and prevention efforts. "I want to thank each and every one of you very much for being on the front lines for many, many years," Conway said in closing. "Consider us a partner, but also a resource and also a people who will listen."